Driven by hyperscale cloud service providers, every facet of data center infrastructure is undergoing a technology refresh. This sweeping technology revolution has put huge pressure on IT professionals to learn about dozens of new hardware products, software products, reference architectures and best practices. 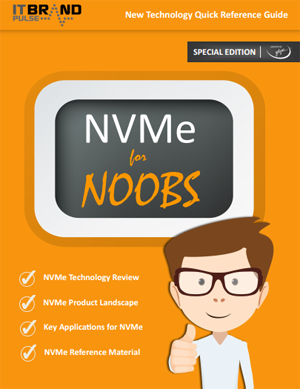 New Technology Reference Guides for Noobs are designed to help IT Pros quickly understand the basics of a new technology, while providing vendors a way to engage with IT Pros. Co-branded with your company name and full page ads,”For Noobs” publications can be distributed as eBooks, or printed and used as a handout. Contact us now to learn more!